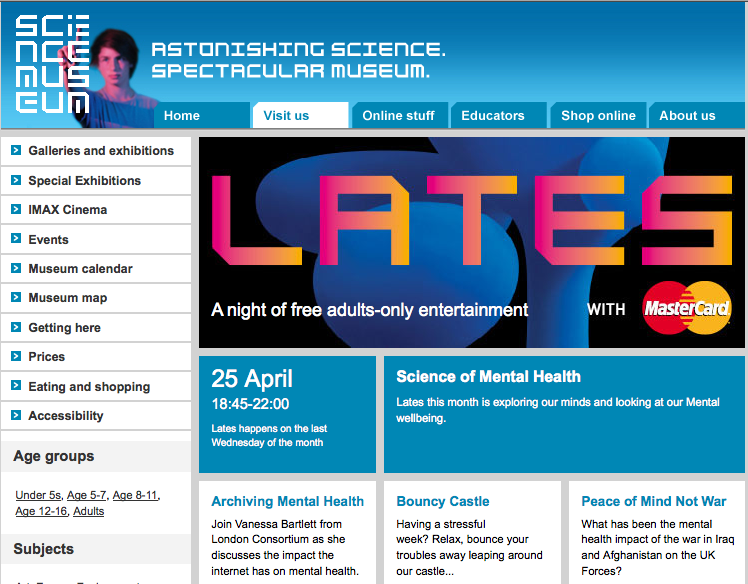 This month’s late night shindig at The Science Museum, takes mental health as its topic. Lots of excellent charities such as Mind and Rethink will be in attendance and rumour has it there will be a bouncy castle for jumping away excess stress! I’m giving a presentation on my current research on the internet and case histories of mental ill health at 8pm and then again at 9pm. Click below for a full synopsis. In February 2012 comedian Ruby Wax launched Black Dog Tribe, an online social space for people affected by mental illness. In an archival society where individuals are constantly recording their daily experiences online, using interactive social media and digital technologies, the site exemplifies a trend for use of the internet as a platform for recording and performing symptoms of mental ill health and staging cathartic therapy through online testimony and confession. According to Michel Foucault, experiences of psychological disturbance from the eighteenth century onwards have been articulated through archival systems such as doctor’s notes and asylum statistics that construct mental illness from the hierarchical perspective of diagnosis and jurisdiction. Occasionally first person testimonies have offered subjective accounts authored from a single patient’s point of view. Yet these works commonly depended upon the existing social or economic status enjoyed by the author for their public legitimacy, as in the case of the 1884 memoir of psychosis written by distinguished Judge, Daniel Paul Schreber. This presentation will question the extent to which websites and social networking sites such a Black Dog Tribe might offer a useful resource for the mental health historian of the future, who seeks to access first person accounts of symptoms authored without jurisdiction. It will touch upon ideas of the Internet as an archive and the psychology of Internet use. I think your talk at the Science Museum was today – maybe just ended a few minutes ago? Hope it went well! 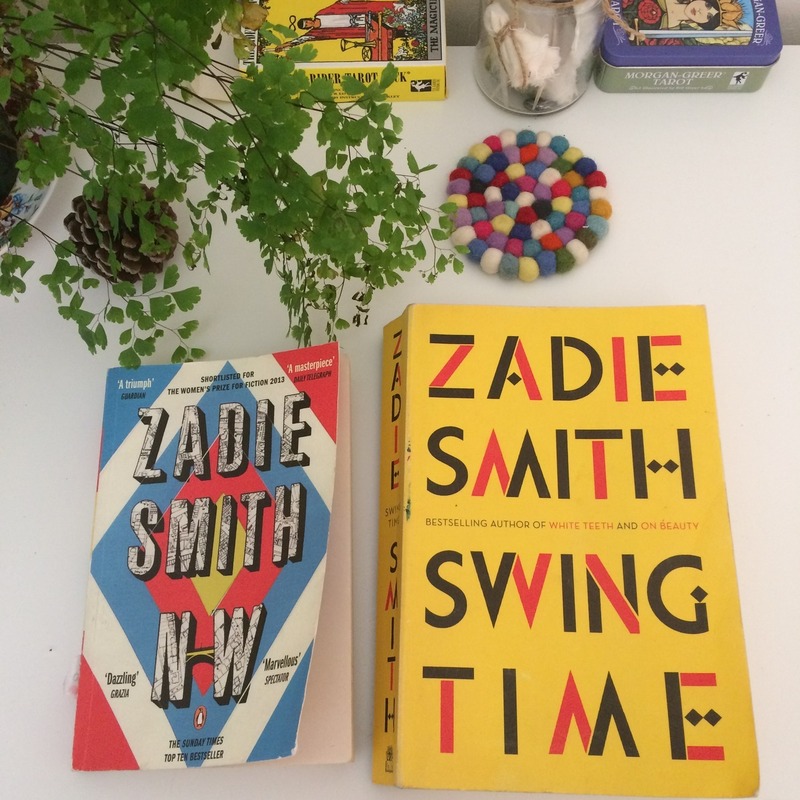 You’re doing a wonderful job – keep going! Hi, I found your blog by using Google while looking for a connected subject matter, your website came out, it looks very good. We’ve saved as a favorite it in my bing social bookmarks.